An evening of music and celebration! 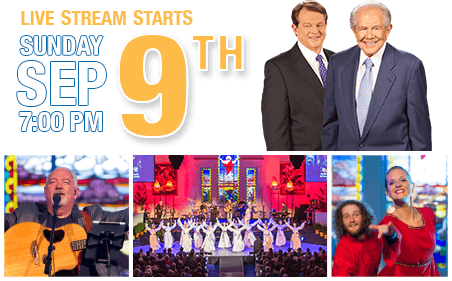 Join Pat and Gordon Robertson with musical guest Paul Wilbur, and his band, for an evening of praise and celebration. Special guests also include The Messiah Company, Masterworks Performing Arts, and many more! "Rosh Hashanah Celebration- September 9, 2018"
The latest version of Adobe Flash Player is required to watch the video. Please click on the link below to download the latest version. Thanks! We want to pray for you and your loved ones. We invite you to send us your prayer requests and join us during our week of prayer.